Summer officially began yesterday, and I am feeling the new season in every fiber of my being. The weather is getting warmer, days are getting lazier, meals are migrating outdoors, and grills are firing up around the country. At this time of year, my family yearns for Israel. We try to make a trip there every year, usually in the warmer months. It’s a magical place. We stay in Tel Aviv, making day trips to places like Jerusalem, Haifa and Galilee. 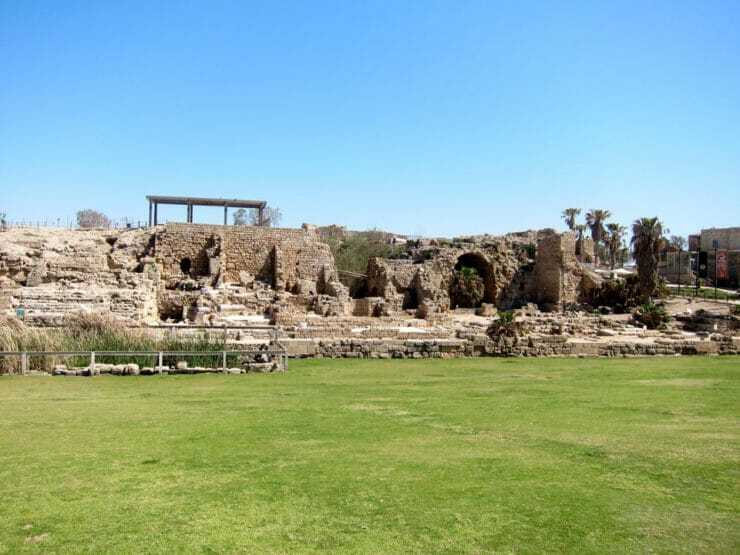 One of our first stops is always Caesarea, an ancient Roman port city built by Herod the Great. 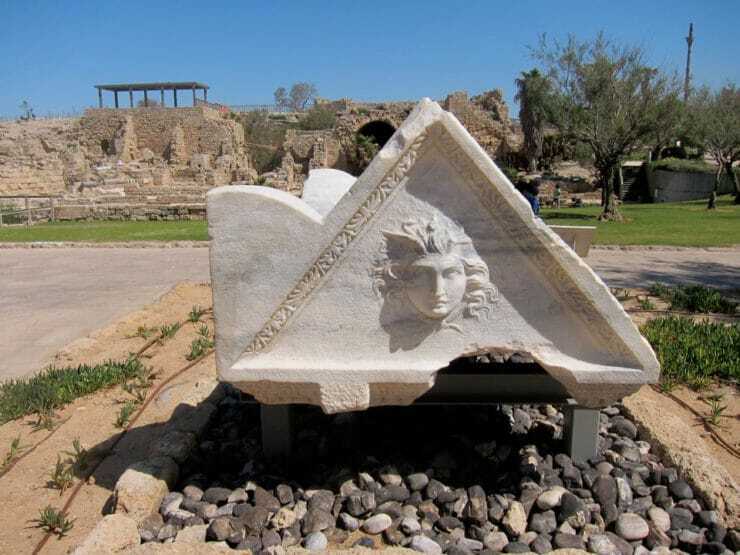 There you can walk among the ruins of a pagan city named for the Roman emperor Caesar Augustus. It’s built on top of the ruins of Straton’s Tower (Stratonospyrgos), an agricultural storehouse and Jewish city that was central to the Hasmonean Kingdom’s shipbuilding industry. In 63 BCE, when Herod took over, he oversaw the construction of a harbor, roads, baths, temples, markets, and a large arena. The city became central to Roman life in the area, regularly hosting events like gladiator games, chariot races, and theatrical productions. Today, the structures of the city Herod built are still largely intact. You can view the baths, walk in the arena, see the sculptures, and imagine what it was like to live there in Roman times. 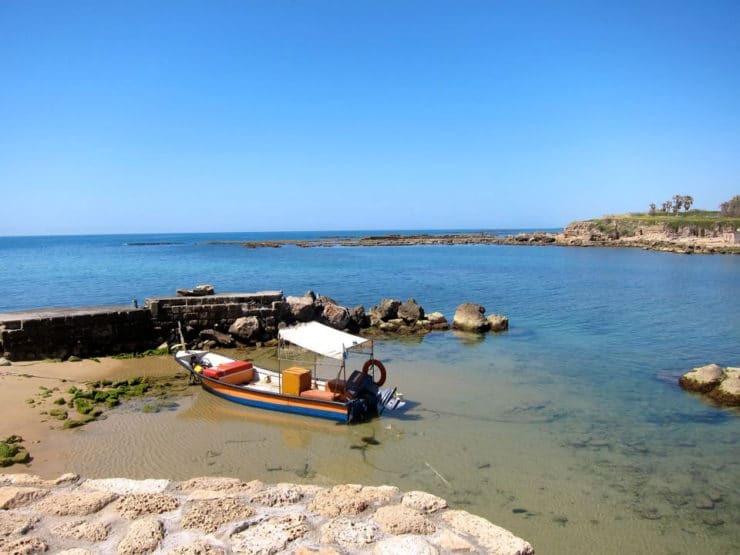 When you’re done exploring Caesarea, you can stop at one of the seaside cafes along the shoreline. We like to sit and order a meal, taking in the ocean air and atmosphere. It is really something to dine in the middle of an ancient city. Our tradition is to order limonana, the national drink of Israel. 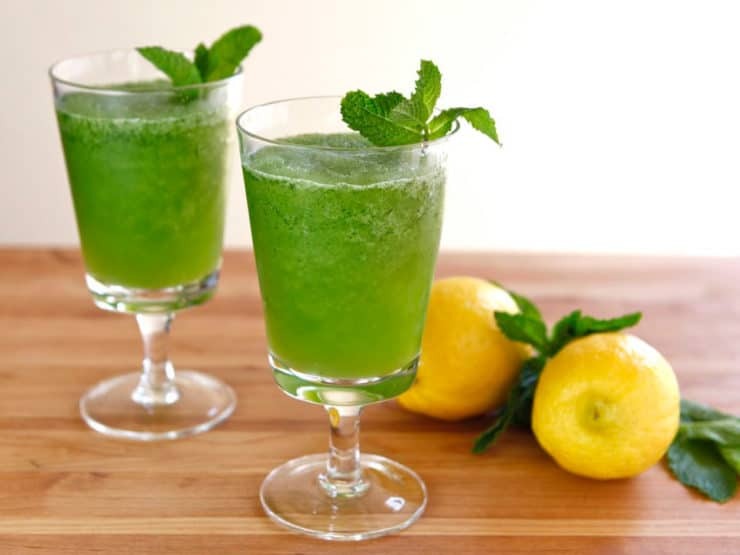 Limonana is lemonade blended together with mint and ice to make a frozen slush. It is so refreshing, the perfect treat for a hot, humid Israeli afternoon. 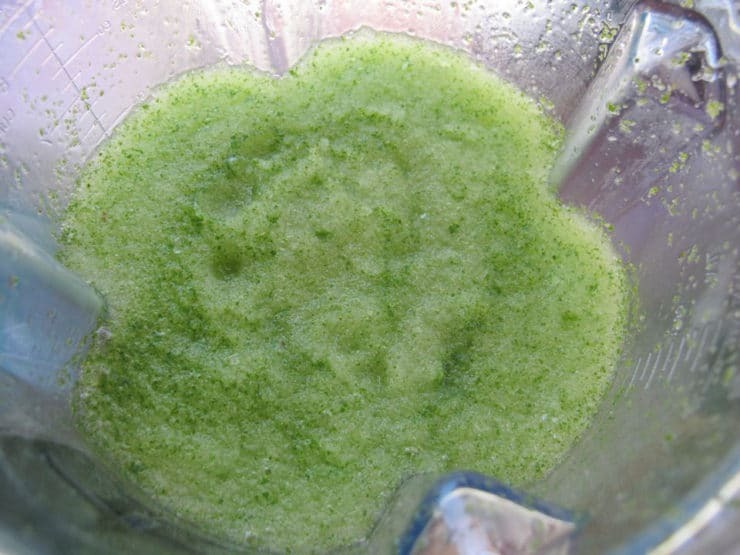 Recipe for a simple, sweet, refreshing Middle Eastern slushy drink with lemon and mint. Takes 5 minutes to make. Easy, vegan, kosher, pareve. 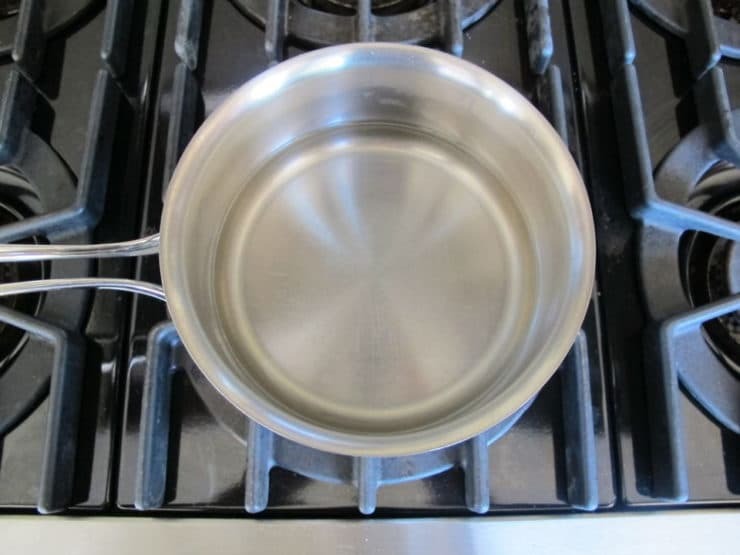 In a small saucepan, combine 1 cup of water and sugar. Heat over medium, whisking constantly, till the sugar dissolves. Let the water cool to room temperature. 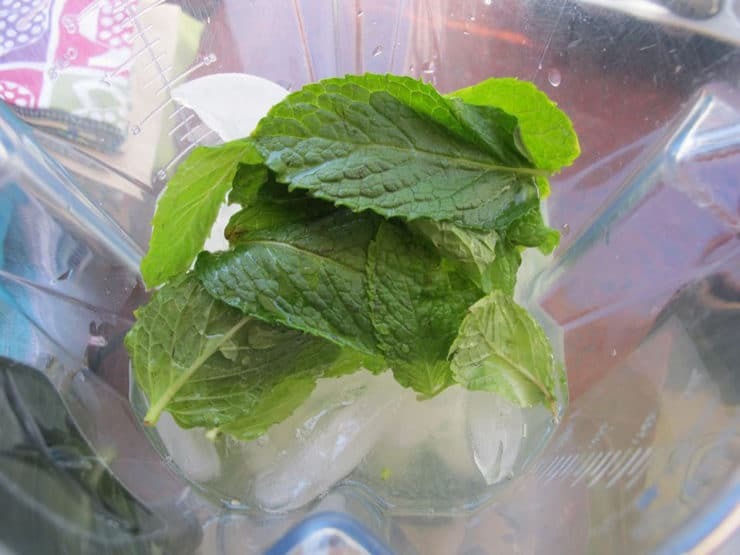 In a blender, combine the sugar water, fresh lemon juice, ice, fresh mint leaves and 3/4 cup of water. Pulse for a few seconds, then blend for 1 minute till the ice is thoroughly crushed and the drink takes on the texture of a thick slushy. Taste. This recipe produces a mildly sweet limonana, which is the way I like it. Some people like it sweeter. Add sugar to taste, if desired, and blend again. Pour into cold glasses and serve. Garnish with sprigs of mint, if desired. Note: If you're on a low sugar diet or watching your weight, you can also make this drink with Splenda, stevia, agave, or your favorite low glycemic sweetener. Rather than making the sugar water, add a cup of unsweetened water to the blender (2 cups of water total) and blend the drink without sugar. Add your sweetener of choice to taste, blend again, and serve. This sounds so good! I live in Denton, Texas where it is really hot in the Summer, so I am going to try limonana. Thank you for this limonana recipe. I first experienced this wonderful drink in Jerash, Jordan, a couple of years ago. Can’t wait to try yours. 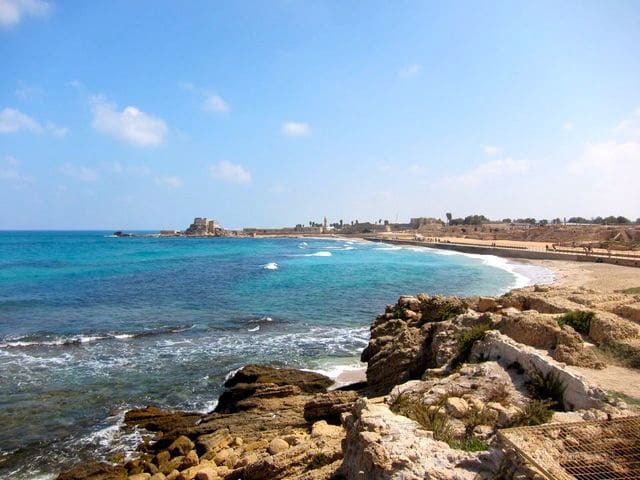 Your pictures of Israel bring back great memories of two amazing trips there. I was just there! what a beautiful place to wander and eat lunch, and of course, drink that refreshing drink! I don’t even like mint, but I found myself craving it! 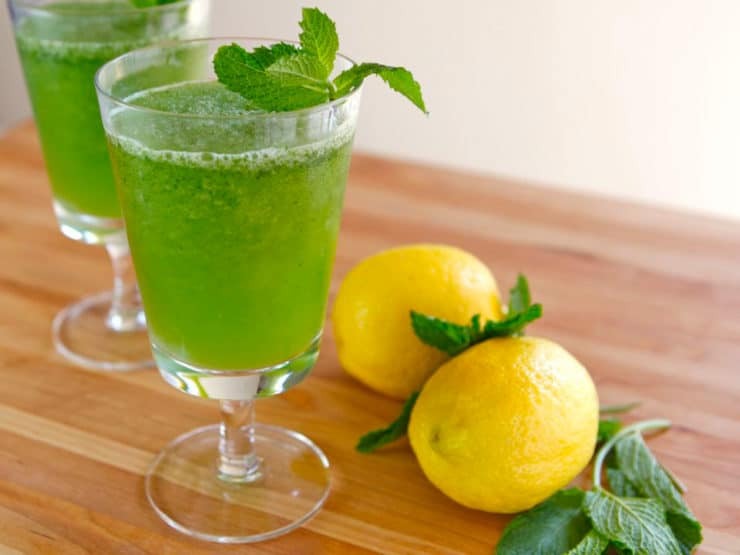 whether in Netanya, Tel Aviv, Nazareth or Bethlehem, mint lemonade is served at every meal…love it! Hi Sarah, Tori’s assistant Ashley here. I wouldn’t recommend making this drink too far in advance. You can certainly make a larger batch for a party, but it’s best served just after blending. Not really as it separates! Tory, I love your recipes and all the information and history about. I just want to let you know that artificial sugar -splenda or other kind- are very nocive products for our health. Splenda is a cancerigen, for example. Every product containing aspartame is dangerous. I recommend you to look for information about this subject. We have to take care of our health and at the same time enjoy delicious meals like those you share with us. Hello Tori, for Debra that has no blender, it’s easy just crash the leaves with a mortar, ( if you don’t have a mortar crush them in a plate with a glass) let them sit in the water for a few hours later strain them direct to the water with the juice, sugar, ice and drink it ! Sometimes in Mexico we just drink it simple without lemon or lime, just water, Ice, mint and sugar and you just let them sit in the water for a few hours and drink it with Vodka or without. Sorry for my English I hope you understand me. I had this in Barcelona, Spain but didn’t know what it was – couldn’t get enough of it -so refreshing! – absolutely delighted to find your recipe. Will be travelling to Israel – will look forward to having it there also. Yippee! I used limes instead of lemons and unintentionally made it sweeter (just dumped in some pre-made sugar syrup I had on hand, without really checking the proportions). At the end, I added seltzer! It was delish. Thanks for posting! I don’t have a blender right now but if I did, oh my. My kids and I would love these. I saved the recipe. I would like to visit all the places you mentioned and showed. Beautiful! Oh wow – this looks delicious. What a beautiful colour, and I imagine this is completely refreshing. And the photos from Israel look lovely too – inspiring. Thank you for posting. You’re welcome G! I’m trying to post more low-sugar or sugar-free modifications for those who are diabetic or dieting. You’ll definitely like the Splenda version of this drink, I’ve made it for a friend who is on a low glycemic diet and she really enjoyed it! We made the Limonana two times yesterday. Did anyone ever mention it is great with vodka!! So glad you liked it Jonathan! And yes, I did mention vodka as an option in the last part of the blog, “if you’re feeling naughty.” 😉 I particularly like it with a splash of citrus vodka. Delish! The original recipe is so tantalizing as it is my sister and that was kosher with me; now I’ve got to admit that the citrus vodka takes it to another level. Oh-so kosher. I’m going to remember to try it! Love lemonade, and since my garden has lots of mint, I’d love to make this. Approx. how many lemons do I need for the yield of 1 cup of juice? Hey Alice! It really depends on the size of the lemons, but I would say 4-5 large lemons should do it. If the lemons are smaller you may need up to 8. I wish I could take out that last picture straight out of the screen, thank you for this recipe, a great idea on a hot day. Everything is beautiful. The scenery, the drink…I can just image how it feels drinking this in the Holy Land. Looks so refreshing as well!